Do you have a Xerox device that has ConnectKey technology? Why not set up your mobile phone or tablet for mobile printing? No more having to get back to your desk to print that important document. Print wherever you are in the office. Here are the options available to set up mobile printing for your office. Xerox Mobile Link App – The 3-in-1 Mobile Link App can capture, manage and send data, making you more productive wherever you are. Xerox Print Service Plug-in for Android – The Xerox Print Service Plug-in for Android enables mobile printing to many Xerox printers and MFPs without the need for third party apps. 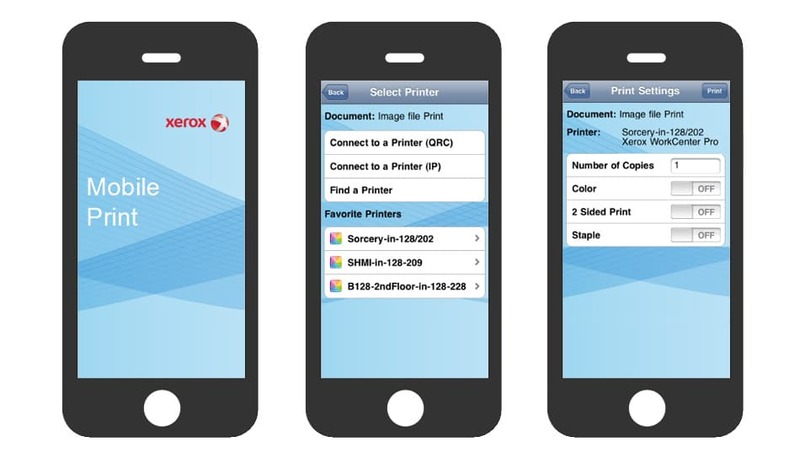 Xerox Print Portal App – Enables smartphone and tablet users to connect with network printers to print documents securely and conveniently. Mopria Print Service – As a more universal way to print from Android devices, the Mopria Print Service provides basic printing capabilities. Take your work wherever you need to go and have peace of mind that you won’t forget to print a document again. Check out the Xerox website for more information and download the application you require to get started with mobile printing today!